Chinese model Tian Yi, after A Show, NYC, September 2013. 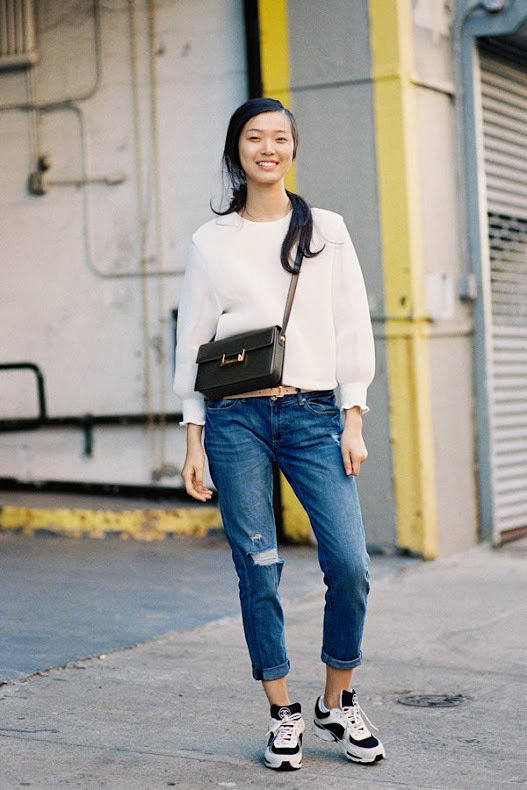 Something simple for the weekend: a white sweatshirt, distressed jeans, cross-body bag and Chanel (!) sneakers. Before Alexander Wang, NYC, September 2013. A cute way to wear a crop top for the warm, beautiful days of summer ahead. Riller & Fount Raff crop top, Thakoon cropped shell top + Thakoon High Waist wrap skirt, Tibi cropped top + Tibi A-line skirt, Milly Cropped top, Giambattista Valli sleeveless crop top + Giambattista Valli pleated skirt, Torn by Ronny Kobo Freya tee + Torn by Ronny Kobo Yolanda skirt, BCBGMaxAzria Fenella cropped v back sweater, Topshop v-neck cutaway crop top, Proenza Schouler crepe skirt, or Theory Icon midi skirt (high waisted skirt + crop top = fab for not showing too much tummy). 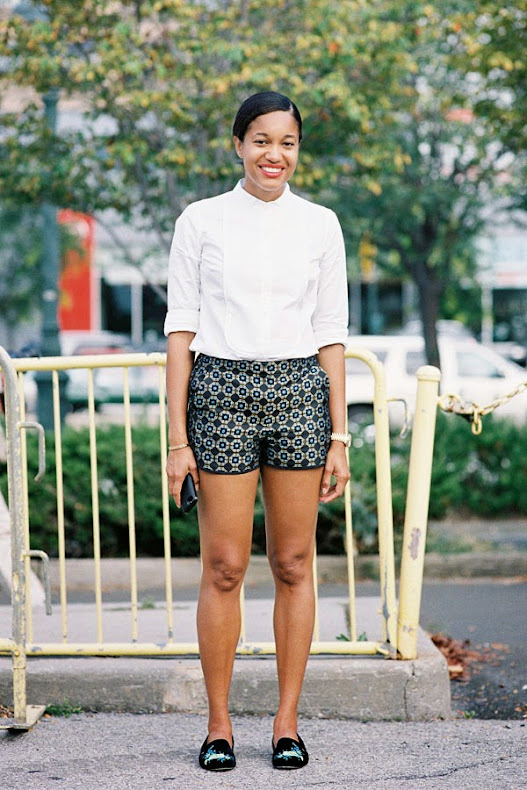 Lovely Tamu McPherson from All The Pretty Birds, before Alexander Wang, NYC, September 2013. It's that time of the year - shorts time! Well, sort of depending where you live I guess. London right now? Not so much....maybe in a month's time :( Yesterday I was still wearing a coat! Market Editor WSJ, Preetma Singh, after A Show, NYC,September 2013. 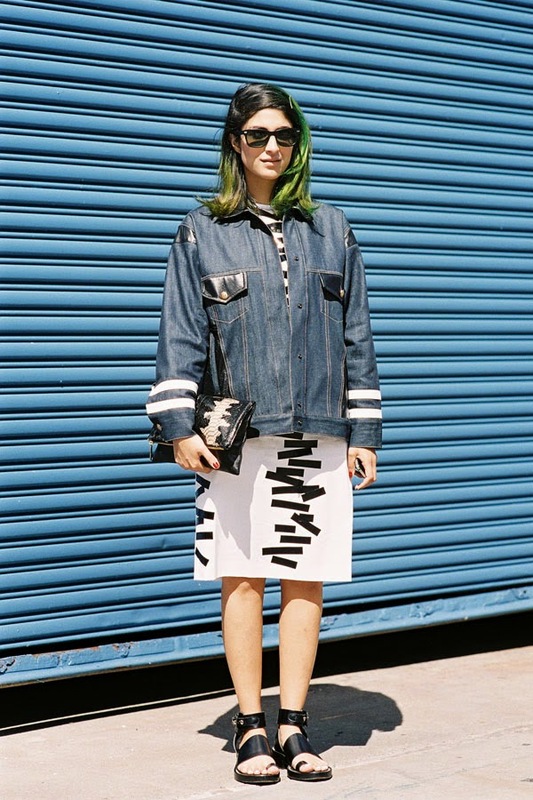 Love the leather details on Preetma's denim jacket and dress and her seriously cool summer sandals. 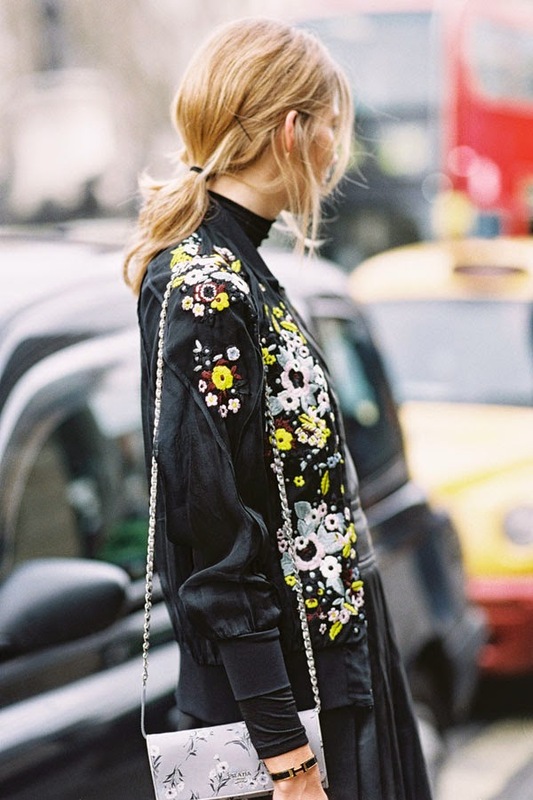 The oh-so-stunning Alexandra Spencer of 4th and Bleeker (in gorgeous Chanel cropped jacket), before Chanel, Paris, March 2014. 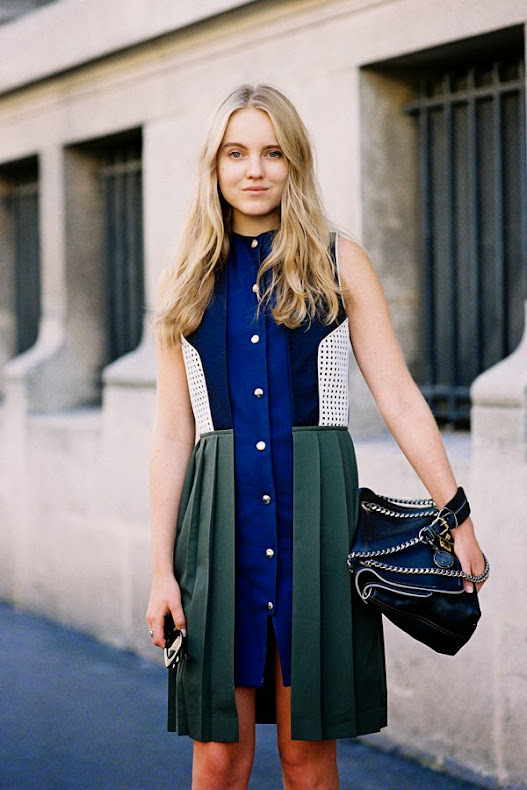 Nicole Warne of Gary Pepper Girl, before Louis Vuitton, Paris, March 2014. 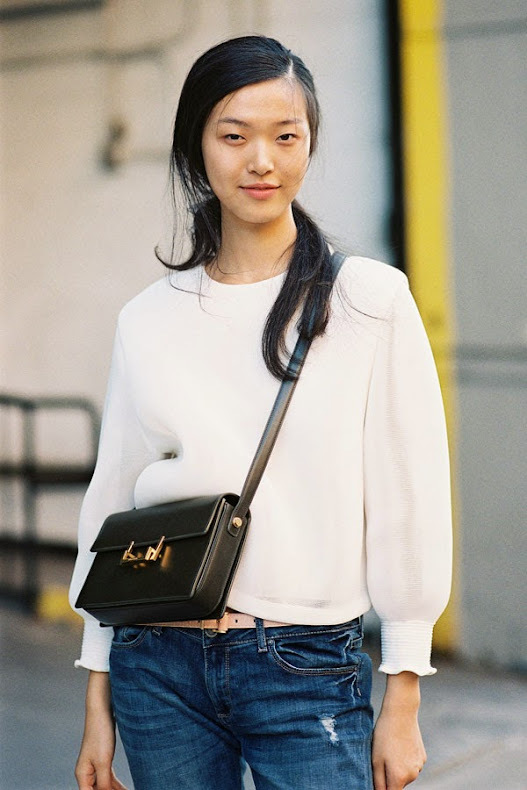 Chinese model Liu Wen, after A Show, NYC, September 2013. Liu Wen + The Tassie Devil = weekend love. After A Show, NYC, September 2013. 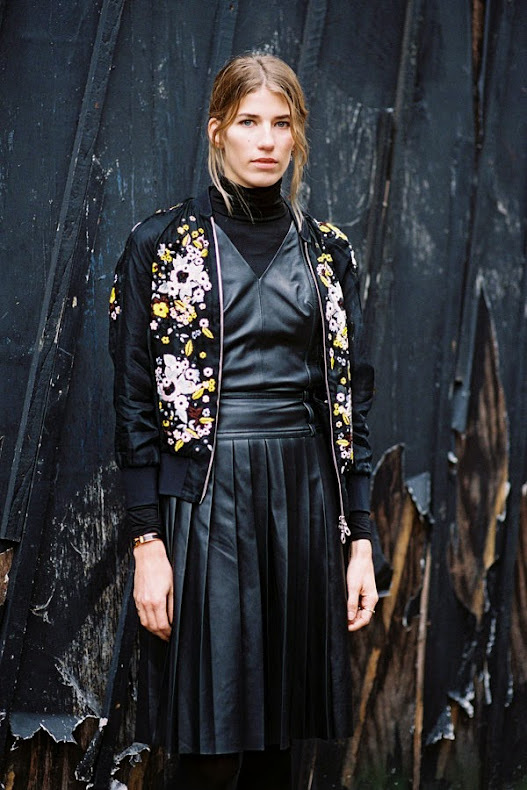 Dutch model Julia Bergshoeff, after Miu Miu, Paris, March 2014. Leandra Medine of The Man Repeller, after Derek Lam (I think! ), NYC, September 2013. A summer essential: the shirt dress. Natasha Goldenberg (wearing Celine) and Elizabeth von Guttman, after Chloe, Paris, March 2014. Russian model Irina Nikolaeva, after A Show, NYC, September 2013. Tie-dye + high-waisted jeans + white sandals! Konca Aykan, Fashion Editor Vogue Turkey, after DKNY, NYC, September 2013. 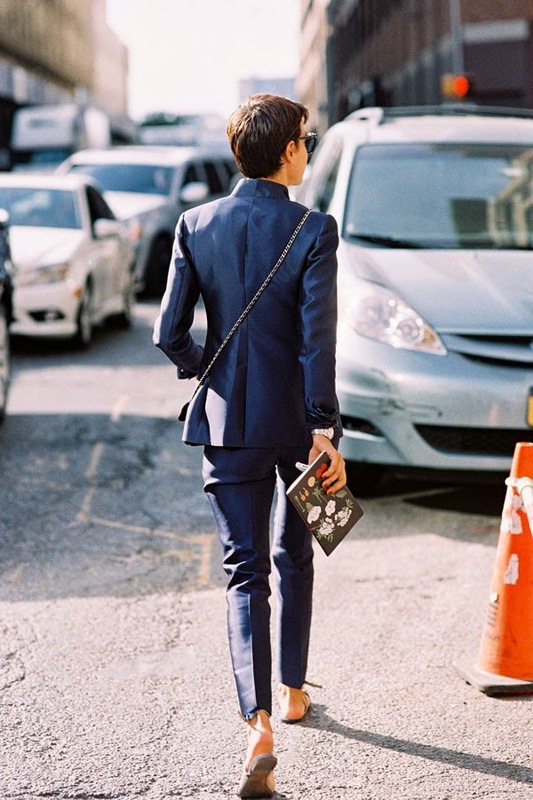 The chic summer suit.....perfectly styled with flat summer sandals and cross-body Chanel bag. Amanda Weiner, Senior Accessories Editor Harper's Bazaar (US), before A Show, NYC, September 2013. Journalist and TV host Alexandra Golovanoff, after Nina Ricci, Paris, February 2014. Belgian model Hanne Gaby Odiele, after Alexander Wang, NYC, September 2013. After Honor, NYC, September 2013. Knotted shirt, pretty lemon-y full skirt, coloured pumps.... all things summery and nice! Before Giambattista Valli, Paris, October 2013. Such an excellent J.W. Anderson dress! Russian model Valery Kaufman, after A Show, Paris, October 2013. Harper's Bazaar (Germany) Veronika Heilbrunner, before A Show, London, February 2014. Another amazing outfit from Veronika: darkly sweet. South Korean model Ji Hye Park, after DKNY, NYC, September 2013. Absolutely loved the orange lipstick at DKNY....such a great look for summer! Barneys Assistant Fashion Director, Laura Stoloff (wearing Christopher Kane top), before Band of Outsiders, NYC, September 2013. Serbian model Mijo Mihaljcic, after A Show, NYC, September 2013. 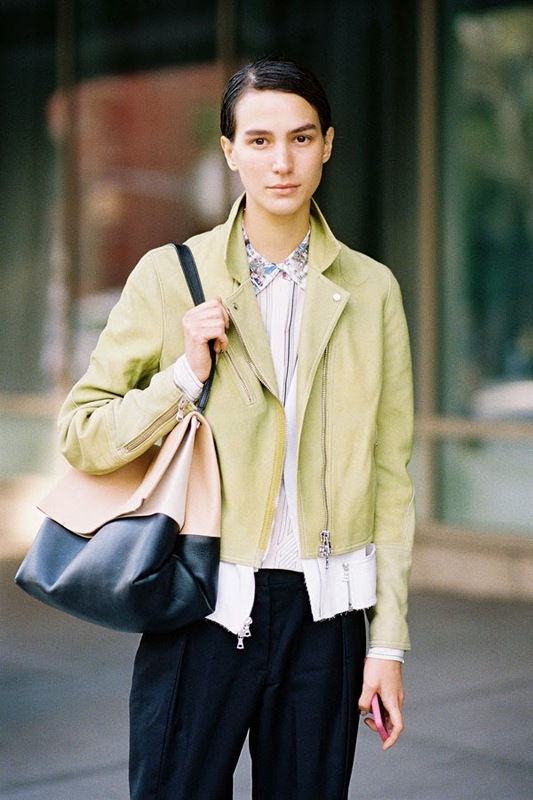 A beautiful coloured leather jacket is a lovely alternative to classic black for spring/summer. 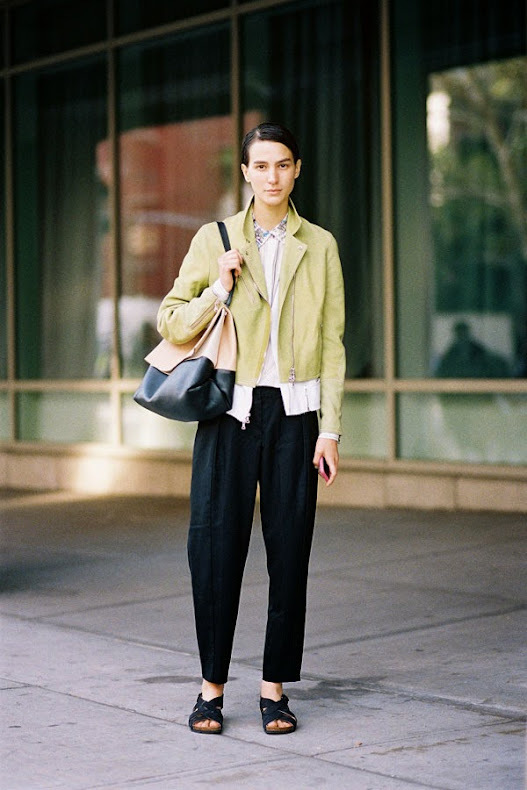 Add slouchy trousers + a pair of slides or sandals. Russian model Sasha Luss, after A Show, Paris, March 2014. 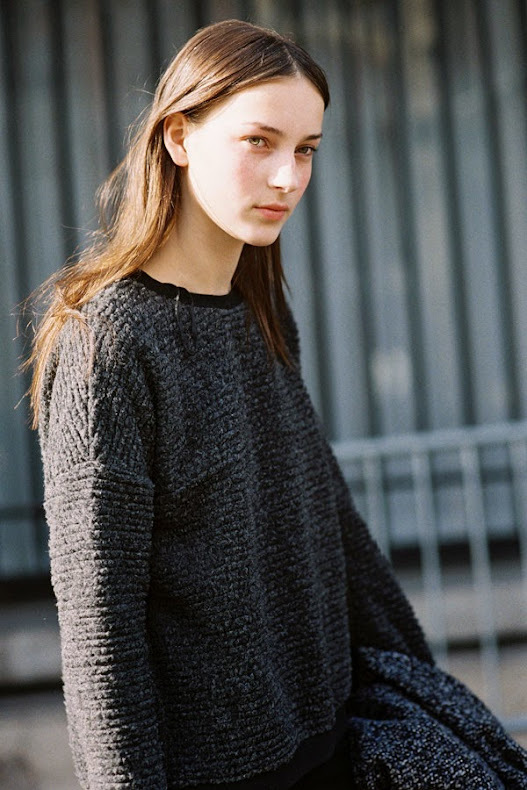 Helena Bordon, before Guy Laroche, Paris, February 2014.